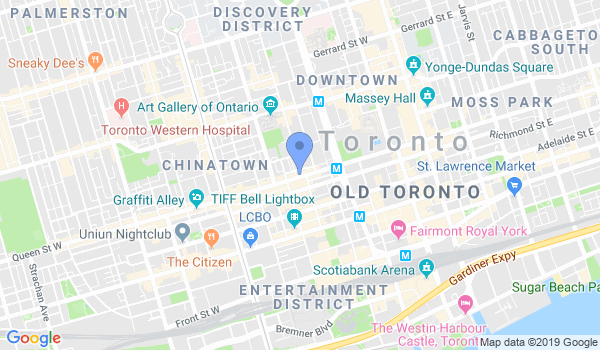 Ninjutsu Toronto is a small, non-commercial Bujinkan Dojo located in Downtown Toronto, Ontario. Experienced Bujinkan practitioners and new students interested in starting out are always welcome to join us. We train twice a week on Tuesday and Wednesday evenings. We provide a safe, friendly and non-competitive environment in which students are treated as individuals and allowed to progress at their own pace. Both men and women are welcome. The minimum age for training is 18 years. The Bujinkan is an international association of Budo (road of the warrior) with its bases in Japan and directed by Dr. Masaaki Hatsumi, current Soke (heir). The Bujinkan Dojo was founded around 1972 by Hatsumi Sensei, after the death of his teacher and mentor, Takamatsu Toshitsugu Sensei. Budo Taijutsu is called the set of 9 Ryu-ha (schools) of traditional Japanese martial arts. Some are more than 900 years old, having received them from their master Takamatsu and keeping these with their essence and purity through the Nin (Adaptability). Three of these schools base their teachings on Ninjutsu, while the remaining six are of Bujutsu (arts of war), bearing in mind that they each possess their own characteristics, both in their philosophies and in their techniques. Would you like more information on hours, classes and programs available at Toronto Bujinkan Ninjutsu Dojo? Please contact the school with your questions. Update the details, Write a Review or Report Error of Toronto Bujinkan Ninjutsu Dojo.